Strategies to Pull Customers Closer, Maximize Sales & Increase Profits! Today's consumers have more choices then they've ever had before. And where you once had competition, you now are faced with hyper-competition -- and that competition comes at you from all sides. Customers can buy what you sell in any number of places: your competitors, on-line, catalogs, kiosks -- you name it. That means that your company has to be better than ever, and you need to do the things that make you different; special -- things that make customers want to choose your business above all others. 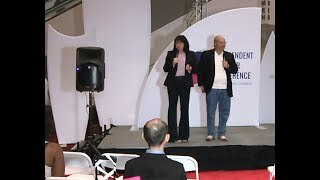 During Prospering in Turbulent Times Rich Kizer & Georganne Bender share what they've found it takes to be successful in today's crazy and competitive marketplace. 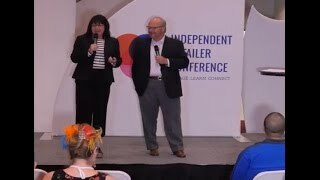 You'll learn strategies, tactics, tips and techniques to improve your operation, thrill your customers and dramatically improve your bottom line. We'll share what our customers in our focus groups tell us about the "state of customer service." You'll learn how your customers are changing and what these changes mean to your business. Today, almost every customer is time-starved and stressed out -- we'll share strategies to pinpoint their needs and keep them closer than ever before. Competition today is changing more quickly than ever before. New technologies, and new ways to steal your customers, are being implemented every day. The question is: how much do you really know about your competitor's and how they operate? We'll show you how to shop your competition like a pro. And we'll share our technique that will allow you to predict, in advance, what your competition is going to do with a 70-85% accuracy rate. You'll become a stealth competitor! There is no reality in business today, only perception. Your company is what it is perceivedto be by your customers whether you like it or not! From the first 10 seconds inside the door, until the time they leave, customers are cataloging reasons to return or not return. We'll show you how to objectively view your business through your customers eyes, plus positive perception building strategies that lead to increased sales. Did you know that it can cost five times as much to bring a customer back after you've lost their business? Why not just make them happy in the first place? We'll examine what great companies do to keep their customers close, and we'll share strategies to build and strengthen customer relationships with your own customers. Plus, we'll share our secret weapon to keep customers close -- it works every time -- guarantee! You can't run your business all by yourself -- you need the help of professional associates who feel the same way that you feel about your company and your customers. You are the "Keeper of the Karma" and it's your job to create the culture that encourages associates to grow. We'll share the best ideas we've found to make associates feel like a million bucks -- without spending a fortune. "Prospering in Turbulent Times" is loaded with strategies, tactics, tips and techniques every businessperson needs to know. You'll leave with great ideas that you'll be able to implement the second you return to your business! You two are the best! Heard you last year & couldn't wait to see you this year. You always energize me.